AEIOU proudly presents our amazing Frozen Party, an increasingly popular theme for boys and girls! 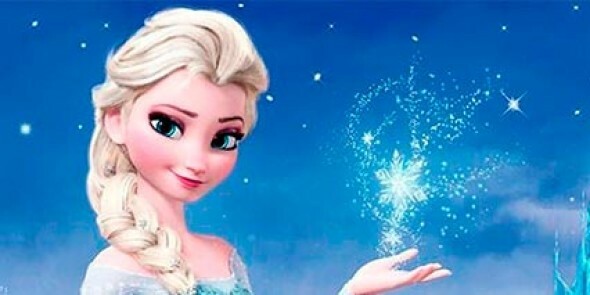 This heartbreaking story of two sisters has touched the world, and you can make the tale come to life in your own home by hiring an Anna or Elsa kids party entertainer who will do great games, different activities, face painting, magic, bubbles, balloon modelling, storytelling, and more. 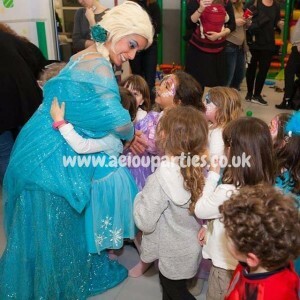 These parties are the best choice for any children’s event you are hosting. 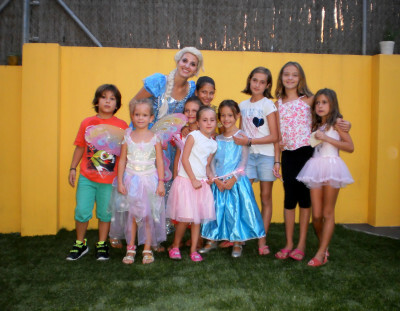 Read more about kids themed parties. An energetic start with the presentation of Queen Elsa and Princess Anna making a fuss over the birthday girl/boy! 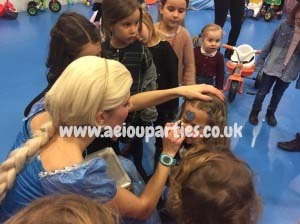 Glittery face painting session with crowns, snowflakes and even some Olaf faces! 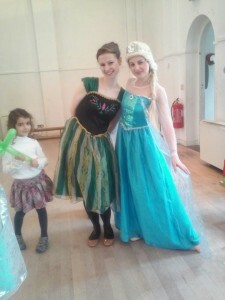 Closing with a balloon modelled for every kid, pictures and a warm good-bye! 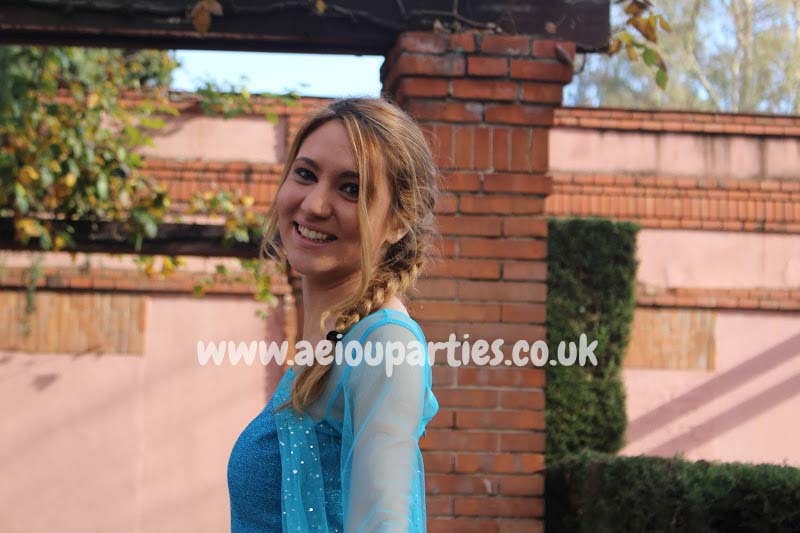 COST: Starting from £140 based on one entertainer for 1 hour. Our Frozen Themed Party with Elsa and Anna can be tailored to your needs in matter of space, time and activities, number of kids, venue, ages of the kids. 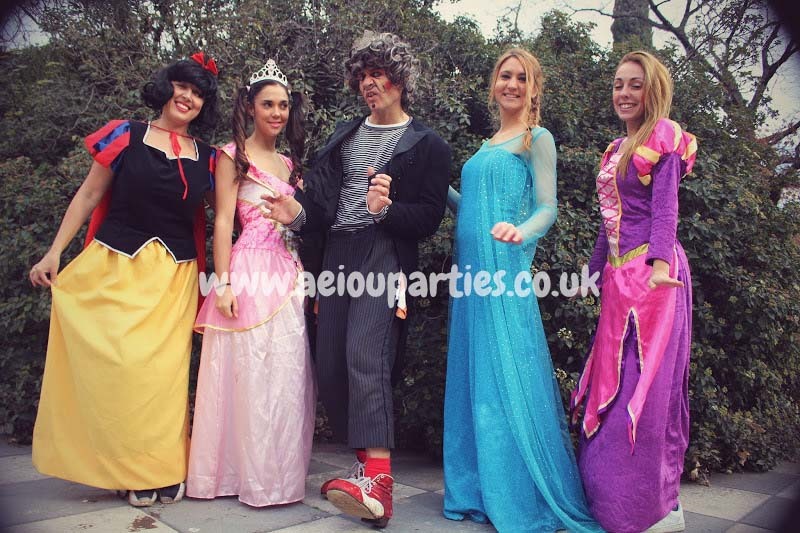 Boys and girls will both enjoy the activities our AEIOU parties entertainers have prepared for them in this popular themed party! 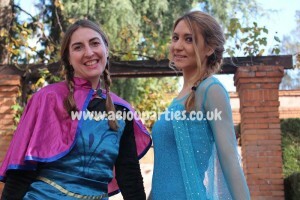 You can mix our Frozen Party with other entertainment, like our Magicians or Clowns for Hire. 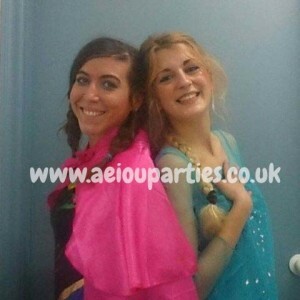 That will surely make your party unique! 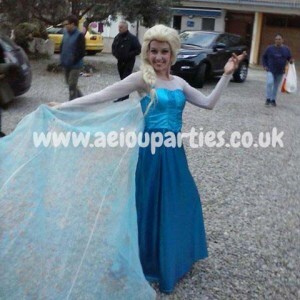 Don’t wait much longer and book one of our Frozen Party entertainers to attend your event. Feel the cold, magic and love of this story and make your kids happy with our AEIOU Kids Club Frozen Party!